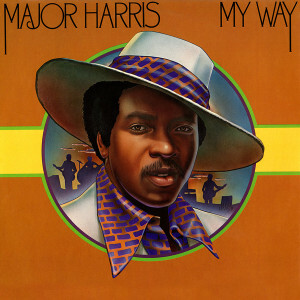 Major Harris #1 R & B and soul epic Love Wont Let Me Wait kicks off the exclusive Friday Music Soul Classics release My Way.... This huge 1975 chart album netted the former Delphonics vocalist a smash pop and r & b hit album. Including Every Morning I Wake Up and the Philly classic Side Show and many others, with its slick production ala Boz Scaggs Silk Degrees. this album was a home run for radio and club play. This is the first time this has ever been issued on compact disc or remastered in North America! Remastered soulfully by Joe Reagoso (Boz Scaggs, The Spinners), this new compact disc features original art elements, liner notes and just great sound as you would expect from Friday Music.